On this page I include links to other sites or files that I believe offer value. Some have products for sale while others do not. ​Many years ago, I learned that there was such a thing as sacred, healing music. I more recently discovered a source of such music and I invite you to explore this further. I feel like this is food for your soul, and yet it benefits your physical, mental, and emotional bodies! Click below and learn the amazing story of this powerful, enjoyable healing gift from God. There are also samples of all 7 songs here. Enjoy! ​Visit EWG's website and explore all they have collected to help us. Go to the Environmental Working Group Toxicity Report to learn about specific toxins or to see what toxins are in your products. Essante Organics, the Organic Living Company offers 100% certified toxic-free, organic, and wild crafted products. ​Watch Why France Went Organic for an overview webinar. 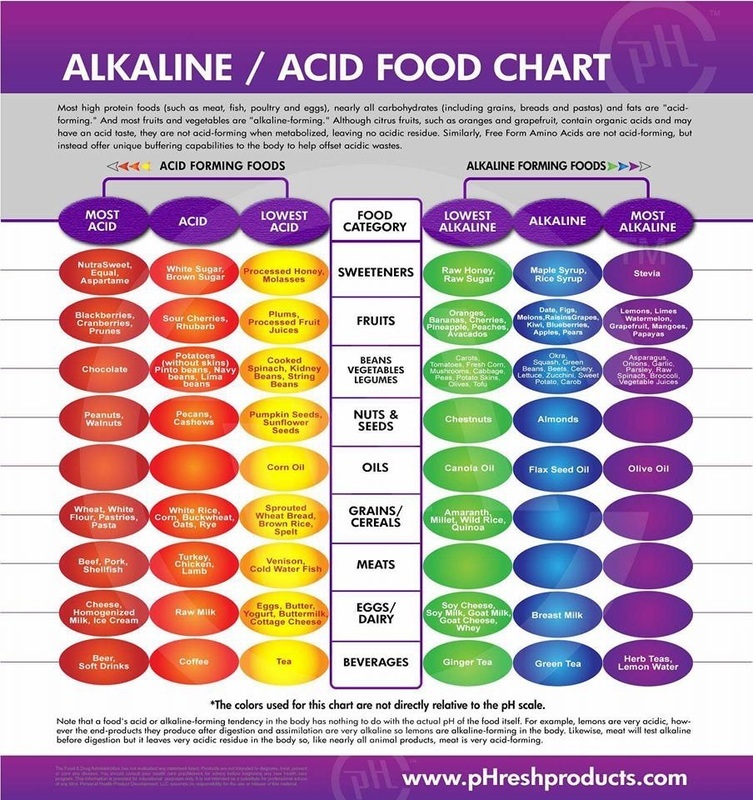 Here is a food chart, showing the alkaline/acid level of different foods.